Earners of this badge will be able to incorporate state-of-the-science concepts and practices of Strategic Risk Communications and stakeholder engagement into an integrated risk management and resilience approach that is appropriate to the nature of the risks to be addressed. Attend the 2018 SRA Annual Meeting. 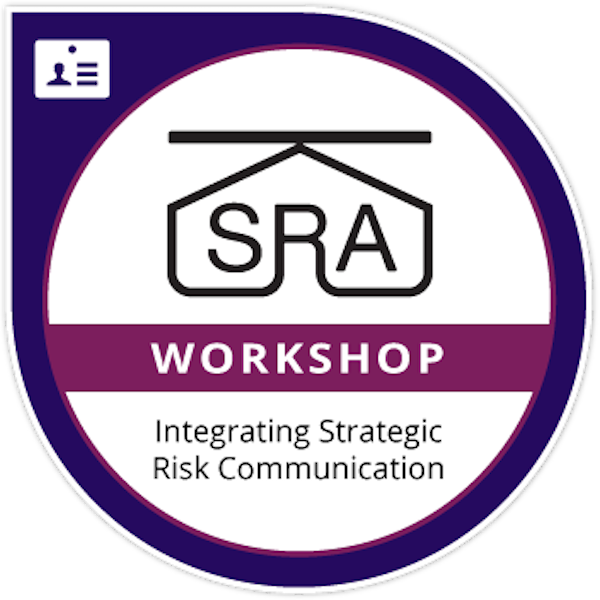 Attend the Integrating Strategic Risk Communication and Stakeholder Engagement with Risk Management to Enhance Organizational Change and Resilience Workshop.